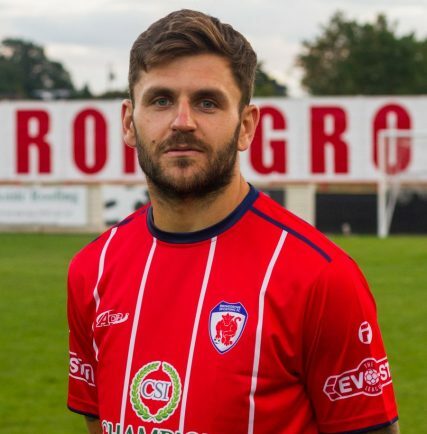 Bromsgrove Sporting skipper Craig Jones writes for The Standard in his weekly column, reflecting on what is going to be a busy week of football. THIS Saturday is the start of a massive week for us, with two tough home matches in the league and one ‘away match’ in the cup all in the space of seven days. First up we have Didcot at home on Saturday and they will be a real test. Your next game is always the most important one, so our attention will 100 per cent be focused on getting a result against Didcot. They’ve took points off a lot of the top teams already this season so it’s important we are at our best to continue our good form. Tuesday night we are away but at home! It’s a strange one being at the Vic but as the away team. I will always remember the first trophy we picked up as Bromsgrove Sporting being done in similar circumstances against Paget. The final of the Smedley Crooke Cup was held at the Vic but we were drawn as the away team. We won the trophy from the away dressing room and I lifted it as captain with blue electrical tape around my arm for an armband as the club didn’t have one. That game is to come but as I said before, all our attention and hard work on the training pitch is revolving around Didcot Town as we look to put on another home performance our loyal fans can be proud of.